Looking for a Drug Rehab or Alcohol Treatment Center in Georgia? Drug rehab programs in Georgia can help individuals even with the most advanced drug and alcohol problems, even those who have been in and out of rehabs in the past and struggle with relapse after relapse. Relapse is not uncommon, and most definitely not a reason for addicted individuals or their loves ones to give up hope that there are more effective answers out there. In many cases, individuals may not have chosen the right rehab for their particular circumstances, and not every rehab is right for everyone. Treatment counselors in Georgia understand why people fail in rehab, and how to help clients succeed. 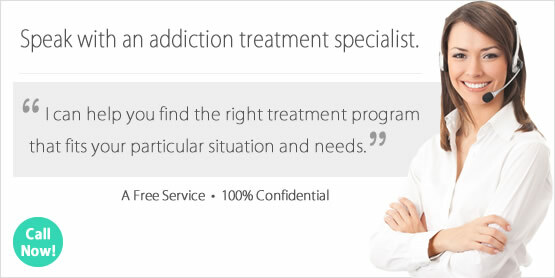 If you are struggling with a drug or alcohol problem, or know someone who is, speak with a drug treatment counselor in Georgia today to find out exactly which drug rehab program is going to be the best match and to get started in such a program as soon as possible. In a single-day count in 2013, over 24,00 individuals in Georgia were enrolled in substance use treatment, which was an increase from 19,237 individuals in 2009. Among those who were taking part in substance abuse treatment that year, half were in treatment for drug use only, over 12% were in treatment for alcohol use only, and nearly 38% were in treatment for both drug and alcohol use. Marijuana accounts for the illicit drug with the highest rate of admissions, but amphetamines are also a very serious problem with 10% of treatment admissions citing drugs such as methamphetamine and crystal meth as their primary drug of abuse. Poly-drug use, a problem with both alcohol and some other type of drug, is a significant problem in the state. Drug rehab programs therefore must have the ability and wherewithal to treat dual diagnosis patients in the state. Alcohol abuse and dependence is a significant problem that Georgia residents face, however more often than not this is part of a poly-drug abuse problem. Only about 12% of treatment admissions are in treatment for alcohol only, and nearly 40% are experiencing both a drug and alcohol issue. So treatment must be comprehensive enough for such dual diagnosis clients. Anyone looking for the most comprehensive and successful alcohol treatment approach should know that AA and other 12-step model programs are very popular, but also have among the lowest success rates. Integrated alcohol treatment that uses additional treatment methods beyond these traditional models have the highest success rates and lowest rates of relapse in Georgia. There are around 360 drug rehab programs in the state of Georgia. Around 300 of these programs are outpatient drug treatment programs, including regular and intensive programs as well as day treatment/partial hospitalization facilities. In addition to these options, there are also nearly 60 programs which administer prescription drugs such as methadone and buprenorphine to clients who are opiate dependent. There were nearly 10,000 outpatient clients participating in opiate maintenance services in the state. This is a reflection of a particular drug problem in Georgia, which is the heroin and prescription pain killer epidemic that is sweeping the nation. Opiate maintenance services are very prevalent in the state, but many clients have a difficult time maintaining the daily obligation to this type of treatment plan. Instead, clients who are opiate dependent can choose from inpatient or residential treatment in the state which provide a more proactive approach so that they can be truly drug dependent. This can take a significant effort and commitment to the process, because opiate dependence is a circumstance with very high rates of relapse. This is why outpatient programs don't have very high rates of success for these clients and why an inpatient or residential programs, preferably one which offers long term treatment, if this client's best bet. What does Inpatient Rehab in Georgia Involve? Inpatient and residential non-hospital drug rehab clients in Georgia participate in either a short term 30-day program or a long term program of 60 days to various lengths of time. Someone's chances of having the ability to avoid relapse and directly commensurate with how much time they remain in a treatment facility in Georgia, and how integrated the approach. Clients in an inpatient and residential non-hospital drug rehab in Georgia will engage in therapy and counselling, cognitive behavioral therapy, dual diagnosis treatment, and other steps depending on their circumstances and what they need to address on an individual basis. What does Outpatient Rehab in Georgia Involve? An outpatient program that delivers traditional outpatient treatment services engage clients in various types of counselling and group and individual therapy based off of the 12-step model. There are other models available however, for clients who would prefer an alternative. There are also a large number of outpatient facilities in Arizona providing opiate maintenance services as discussed above, yet opiate dependent clients who want an alternative to a life time of opiate dependence can benefit from inpatient and residential services which don't use drugs to treat drug dependence, and can provide long term treatment that will give them the best chance at avoiding relapse.